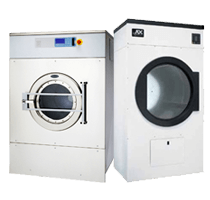 Tri-State Laundry Equipment offers new and used commercial washers or dryers, installation, parts and service for your dry cleaning, laundry service, or coin-operated laundromat. Before you buy new or used commercial laundry and dry cleaning equipment, contact us for site evaluation and design to be sure you get the laundry equipment you need most for the space available. We can help you design a space that lets you start small and add to it as your business grows. New coin-op commercial washers and commercial dryers are available from name brand manufacturers ADC and Wascomat. We also provide boiler room equipment to serve your commercial laundry needs as well as new dry cleaning equipment such as Unipress presses and flatwork irons. 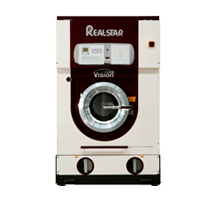 Commercial Washers & Dryers for NC, SC & VA.
Tri-State Laundry provides commercial washers and dryers in NC, SC, and VA for the convenience of our customers. Contact us today to take advantage of our industry knowledge and superior customer service. 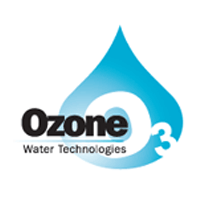 LaundrOzone™ by Ozone Water Technologies delivers cost savings and improved results. LaundrOzone™ by Ozone Water Technologies produces the most efficient ozone water system at the lowest possible cost. Primarily utilized in hotels, hospitals, health care homes, institutions and commercial laundries, ozone functions similarly to color safe oxygen based bleaches, removing stains and destroying microbes while leaving fabrics undamaged and colors bright. Ozone can effectively be used in laundry operations to enhance the use of chemical detergents and, since ozone also has significant sterilization properties, it makes an ideal laundry problem solver. Tri-State services and repairs laundry equipment of all types and brands. We have a warehouse of parts and a broad network of vendors from which we can obtain parts for your equipment. If you can't find the part number, bring us the part or send a photo with the make and model of the equipment to which it was attached. There's a chance we'll recognize it. If we don't have the part, we will go to great lengths to locate it for you. That's less downtime for your business and great customer service from industry experts you know and trust. Tri-State Laundry Equipment specializes in used laundry equipment. We buy used coin-op laundry and used dry cleaning equipment for parts, so that we can refurbish existing commercial washers and dryers to help save you money, keeping costs low so that you can expand or upgrade quickly. Our used laundry equipment items are refurbished, rebuilt or completely overhauled and change on a weekly basis.